As someone who is very pale, I've always thought I could never use bronzers. From seeing girls at school using those pots of bronzing pearls and loading up the fake tan, it was never for me and I accepted being pale. Now I feel that there are many more options for us pale skinned ladies, I braved the bronzing makeup sections and found some products I couldn't live without. Here's some bronzing options for pale skin. A bronzer which I had wanted to try for a while was the Benefit Hoola bronzer. This is a light toned, greyish bronzer which makes it perfect for contouring. It also comes with a trusty mirror and brush though I find this is best used with a brush made for blusher as it can go on quite heavy otherwise. If I'm wanting to warm my face up a little but don't want a full on bronzer I reach for my Clarins Graphic Expression Face & Blush Powder. It's a sort of blusher/bronzer in one as you can see with the brown and pink tones running through it. I find this is perfect for those new to the bronzing trend who maybe want a flush of colour but want something easy to control. My most used bronzer out of the whole group has to be NARS Laguna. I always thought this bronzer would be far too dark for my pale complexion but it's so subtle and easy to wear. I'd still suggest using a light handed approach but I wear this almost everyday and I've barely made a dent in it. If I had to choose out of the group, I'd always reach for this one. As all my choices have been fairly expensive so far, I thought I'd include a budget option in the form of the Sleek Face Contour Kit in Fair. I love that Sleek have palettes which suit a variety of skintones so it's really easy to find something in the perfect shade for your skin. I find it's a slightly warmer version than Laguna but it seems to apply much more heavily so use a light hand with this one. If you don't want to spend too much and still want a good product, give this one a go. It's great that there are so many options for pale skin these days, from budget to high end. 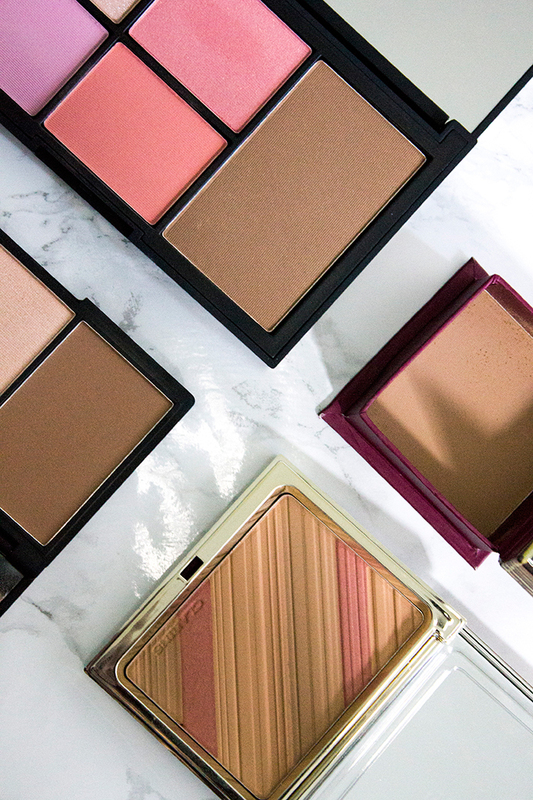 Let me know what your favourite bronzer is!